The Katahdin Avenue industrial park in Millinocket is a shell of what it was in this picture taken on May 4, 2014. MILLINOCKET, Maine — It’s more than a week past deadline and not nearly enough to cover the tab, but the auctioneer trying to settle Great Northern Paper Co.’s $1.18 million net tax debt has made a $76,650 payment, town officials said Wednesday. Town Manager Peggy Daigle announced receipt of the payment in a brief email on Wednesday. Town Council Chairman Richard Angotti Jr. was similarly terse in his reaction to the payment, which was received Friday. Great Northern, the town’s top taxpayer, hired Koster Industries to auction GNP equipment from its Katahdin Avenue industrial site on June 17 to pay taxes owed to Millinocket and the Internal Revenue Service. The auction apparently came in response to IRS and town liens on the equipment. But Koster has paid only $435,150 to the town to date. Koster made a $133,500 payment on July 18 and a $225,000 payment on July 3. It failed to make a $340,000 payment on July 8 and a $360,000 payment on July 14; the rest was due on July 21, according to the payment schedule. Koster officials told town leaders a few weeks after the auction that collecting money from the auction participants has been much more difficult than they expected. The nonpayments are among a series of setbacks for Great Northern since it came into the region in 2011. Town leaders have said that they have been diligent in protecting the town’s interests with Great Northern and Koster while also recognizing that a plan to build a $140 million pellet mill in Millinocket by one of Great Northern manager Cate Street Capital’s other companies, Thermogen Industries, holds great economic potential for the state if it ever launches. Town Council members said on July 22 that they expect to begin pursuing their legal strategy for collecting the money GNP owes in about two weeks. Angotti said Wednesday that the planning is “moving forward.” He declined to comment further. Thermogen submitted its amended application for an air emissions permit to the Maine Department of Environmental Protection on June 13. 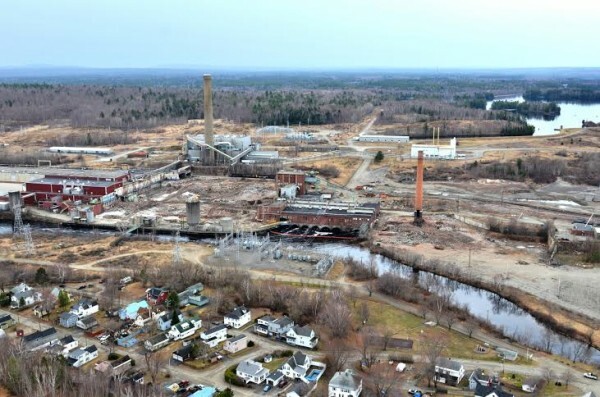 If the permit is approved, construction on the facility could start at the Katahdin Avenue industrial park as early as September or October, company spokeswoman Alexandra Ritchie has said. The application review is expected to take three to six months, and the project would take about a year to complete. Two investors have withdrawn a total of $30 million from the Thermogen project to date. If it goes forward, the plant is projected to create 55 jobs directly, 281 indirectly and produce 300,000 tons of high-energy biofuel pellets annually for distribution to European and United Kingdom electricity plants as a coal substitute. It would use a thermal-steam process commonly employed in several industries, including wood pulp manufacturing. State officials have said they see the high-energy biofuel business having the potential to become a cornerstone in the state’s economy.